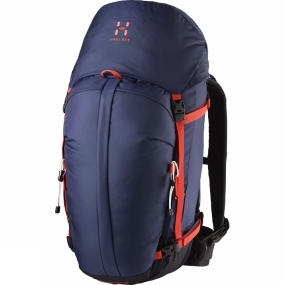 A mountaineering backpack designed for those who are looking for a super durable backpack. The Roc Summit 45 Rucksack is optimised to work well in winter conditions with attachments for technical ice axes that protect the ice axe picks from damaging other equipment, a sturdy A-frame ski carry, and an external pocket that fits snow safety equipment. The Interact suspension system provides good support and carrying comfort while a 1-Motion opening system lets you easily open the backpack with your gloves on.